The debate over how to pay for Metro Vancouver's transportation infrastructure continued Thursday as the province confirmed there will be a TransLink referendum, despite widespread opposition from Metro Vancouver mayors. Transportation Minister Todd Stone said the government will introduce legislation this spring imposing the referendum. However, the mayors need to agree on a long-term vision for regional transportation before the referendum question can be finalized. "What are the priorities of the region? 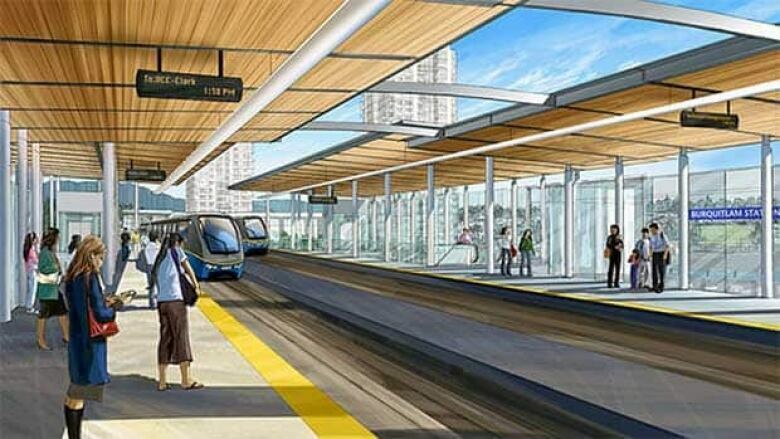 Where is the vision for Metro Vancouver? The mayors have not come together to unite on a common vision for transit and transportation priorities yet it's their responsibility to do so," said Stone. During the May provincial election, Premier Christy Clark promised to hold the referendum on a new funding formula for TransLink during the upcoming municipal elections. Stone's announcement follows Wednesday's close-door mayors meeting in New Westminster, wherein the municipal leaders reiterated their opposition to the referendum. The mayors insist they have not been given the time or the resources to do what the province is demanding. Burnaby Mayor Derek Corrigan called Stone's understanding of regional transportation funding "laughable," given that the province took planning power and resources away from the mayors a few years ago. "We're not given any ability to do any planning whatsoever, and that was intentional. It was done by the provincial government. So for Todd Stone to now be somehow blaming us for a lack of planning is absolutely ludicrous," said Corrigan. District of North Vancouver Mayor Richard Walton agrees. "We're expected to come up with a series of regional priorities. We have no staff and no funds," said Walton. "This is like an invitation at the 11th hour to come to the table in a meaningful way to support a referendum that we were never asked about and are on record as not supporting." Meanwhile, Vancouver Mayor Gregor Robertson said he is disappointed the provincial government is "attacking" mayors. "We've been very clear on our priorities, on our support for transit in the region, asking for funding tools, asking for a change in governance and we're not getting any response," said Robertson. "I don't hear anybody particularly happy that there will be a referendum on transit spending when there isn't a referendum on all the other spending the province does." In September the mayors were critical of provincial government's decision to announce plans to build a new bridge to replace the Massey Tunnel without consulting them first. The referendum is planned for November to coincide with civic elections.